Barba, Chichi. 2014. Eat well, get well : find out how ordinary food can heal you. Cubao, Quezon City : Shepherd’s Voice Publication. Barrica, Ludmila-Carluen. 2015. Cruising on cotton candy clouds : memories of a Filipina flight attendant. Cubao, Quezon City. Shepherd’s Voice Publication. Cabrillas, Obet. 2014. Itanong mo kay daddy mo : questions the “young” would frequently ask. Cubao, Quezon City : Shepherd’s Voice Publication. Cequena, Rowena B. 2014. Handy guide for business starters. Cubao, Quezon City : Shepherd’s Voice Publication. Calonge, Nio. 2015. Ma’am may I go out? : practical lessons I learned outside the classroom. Cubao, Quezon City. Shepherd’s Publication. Chito, Kein. 2014. The 9 secrets of sticky families : how to create the happy home you’ve always wanted. Cubao, Quezon City : Shepherd’s Voice Publication. Depano, Cherry Camille C. 2016. Hugot sa tamang panahon. Cubao, Quezon City Shepherd’s Voice Publications, Inc.
Depano, Cherry Camille. 2015. #Hugot. : understanding the misunderstood. Cubao, Quezon City : Shepherd’s Voice Publication. Duterte, Marjorie. 2014. Love yourself as God loves you. Cubao, Quezon City : Shepherd’s Voice Publication. Escalante, Enrique R. 2012. Let’s talk Chabacano : a conversation guide to real life situation. Malate : Baby Dragon Printing. Espanol, Pio. 2012. Jesus at home : practical steps to make your marriage super, sweeter and stronger. Cubao, Quezon City : Shepherd’s Voice Publication. Evert, Cystaline. 2011. How to find your soulmate without losing your soul. Cubao, Quezon City : Shepherd’s Voice Publication. Evert, Jason. 2014. Saint John Paul the great : his five loves. Cubao, Quezon City : Shepherd’s Voice Publication. Gabriel, George. 2010. Love life : embrace the person, the experience, the moment. Cubao, Quezon City : Shepherd’s Voice Publication. Gogna, Arun. 2013. Lasting gifts you can give your children. Cubao, Quezon City : Shepherd’s Voice Publication. Gogna, Arun. 2010. Enjoy God’s best for your life. Cubao, Quezon City : Shepherd’s Voice Publication. Gogna, Arun with foreword by Bo Sanchez. 2011. Today is your day : inspiration to make you win every time. Cubao, Quezon City : Shepherd’s Voice Publication. Hilario, Jomar. 2015. Virtual careers : earn dollars at home eliminate daily stress embrace your family more. Cubao, Quezon City : Shepherd’s Voice Publication. Holgado, Josephine T.R. 2016. Your newborn is a blessing : a guide to your baby’s health from conception to birth. Shepherd’s Voice Publication. Jason, Joel O. 2007. Free love true love : rediscovering love & intimacy in John Paul II’s theology of the body. Cubao, Quezon City : Shepherd’s Voice Publication. Kawpeng, Rissa Singson. 2014. Shhh! Kinakausap ka ni Lord. Cubao, Quezon City : Shepherd’s Voice Publication. Kawpeng, Rissa Singson. 2016. While you’re waiting : add color to your single life. Shepherd’s Voice Publications, Inc.
Kapweng, Rissa Singson. 2009. Confessions of an impatient bride : Godly lessons you can learn while waiting for Mr. Right. Cubao, Quezon City : Shepherd’s Voice Publication. Kawpeng, Rissa Singson. 2015. Audience of one. Cubao, Quezon City : Shepherd’s Voice Publication. Kawpeng, Rissa Singson foreword by Bo Sanchez. 2014. Something happened on my way to happy ever after. Cubao, Quezon City : Shepherd’s Voice Publication. Kawpeng, Rissa Singson. 2013. Love handles : get a grip on finding and dating your lifetime love. Cubao, Quezon City : Shepherd’s Voice Publication. Lapid, Dean Pax, foreword by Sanchez, Bo. 2014. How to become a happy retiree : a guide to retiring wealthy and worthy in your 40s. Cubao, Quezon City : Shepherd’s Voice Publication. Libiran, JC. 2013. Byahe ni Juan : Life lessons I learned from riding a jeepney. Cubao, Quezon City : Shepherd’s Voice Publication. Melchor, Elizabeth. Taken by love : from a rebellious youth to a missionary in China. Cubao, Quezon City:Shepherd’s Vocie Publication. Mencias, Marianne. 2013. What’s your life’s ,masterpiece? Cubao, Quezon City : Shepherd’s Voice Publication. McConaghy, Bob. 2016. Closer : pray your way to intimacy with God. Cubao, Quezon City : Shepherd’s Voice Publication. Paragas, Renato U. 2015. The # 1 reason why you’re sick. Cubao, Quezon City : Shepherd’s Voice Publication. Paredes, Romy B. 2012. Health made incredibly simple. Cubao, Quezon City : Shepherd’s Voice Publication. Ramirez, Migz.2016. Imagine this : doodles to draw out your life purpose. Cubao, Quezon City : Shepherd’s Voice Publication. Romero, Rosanne C. 2014. Amusing grace : a second helping. Cubao, Quezon City : Shepherd’s Voice Publication. Salvana, Aldem. 2015. The world-class coach : how leaders can unleash people’s greatness. Cubao, Quezon City : Shepherd’s Voice Publication. Salvosa, Maymay R. 2016. Status : confused : what to do in your winding moments. Cubao, Quezon City : Shepherd’s Voice Publication. Sanchez, Bo. 2008. Eagles don’t fly, they soar! : the adventures of Billy Big Toes. Cubao, Quezon City : Shepherd’s Voice Publication. Sanchez, Bo. 2016. How to avoid jerks and jerkettes : so you can find God’s best. Cubao, Quezon City : Shepherd’s Voice Publication. Sanchez, Bo. 2011. My conspiracy theory : a brief autobiography at the Middle of my life. Cubao, Quezon City : Shepherd’s Voice Publication. Sanchez, Bo. 2002. You have the power to create love : take another step on the simple path to happiness. Cubao, Quezon City : Shepherd’s Voice Publication. Sanchez, Bo. 2014. How to change your life in 30 days : use the 4 magical steps to transform your future. Cubao, Quezon City : Shepherd’s Voice Publication. Sanchez, Bo. 2014. My maid invests in the stock market : at kung bakit dapat ka ring mag-invest. Cubao, Quezon City : Shepherd’s Voice Publication. Sanchez, Bo. 2006. How to find your one true love. Cubao, Quezon City : Shepherd’s Voice Publication. Sanchez, Bo. 2005. Fill your life with miracles. Cubao, Quezon City : Shepherd’s Voice Publication. Sanchez, Bo. 2016. Paano mo babaguhin ang buhay mo sa loob ng 30 days. Cubao, Quezon City : Shepherd’s Voice Publication. Sanchez, Bo. 2012. Take charge, give all. 7 steps to determine your destiny and create incredible success in your life. Cubao, Quezon City : Shepherd’s Voice Publication. Sanchez, Bo. 2009. How to conduct your Goliaths : 7 keys to overcome every problem that prevents you from reaching your dreams. Cubao, Quezon City : Shepherd’s Voice Publication. Sanchez, Bo. 2008. 40 stories of passion. Cubao, Quezon City : Shepherd’s Voice Publication. Sanchez, Bo. 2009. How to turn thoughts into things : uses the law of the harvest to fulfill the desires of your heart. Cubao, Quezon City : Shepherd’s Voice Publication. Sanchez, Bo. 2013. How to do the impossible : 8 keys to dream big and love. Cubao, Quezon City : Shepherd’s Voice Publication. Sanchez, Bo. 2011. How to prosper : learn a simple 5-point system to change your financial life forever. Cubao, Quezon City : Shepherd’s Voice Publication. Sanchez, Bo. 2012. How to be a blessing magnet : 8 simple steps to attract the miracles you need every day. Cubao, Quezon City : Shepherd’s Voice Publication. Sanchez, Bo. 2011. How your words can change your world : use positive faith to create your desired future. Cubao, Quezon City : Shepherd’s Voice Publication. Sanchez, Bo. 2012. How to be a blessing magnet : 8 simple steps to attract the miracles you need every day. Cubao, Quezon City : Good Shepherd’s Publication. Sanchez, Bo. 2011. Nahanap mo na ba ang one true love mo? : 8 steps to attract God’s best for the single person. Cubao, Quezon City : Shepherd’ Voice Publication. Sanchez, Bo. 2001. Simplify and live the good life : how to be really wealthy in all areas of life. Cubao, Quezon City : Shepherd’s Voice Publication. Sanchez, Bo. 2012. The turtle always wins : how to make millions in the stock market. Cubao, Quezon City : Shepherd’s Voice Publication. Sanchez, Bo. 2013. 8 habits ng masayang milyonaryo : create wealth God’s way. Cubao, Quezon City : Shepherd’s Voice Publication. Sanchez, Bo. 2010. My maid invests in the stock market. Cubao, Quezon City : Shepherd’s Voice Publication. Sanchez, Bo. 2003. Simply and create abundance : how to be really wealthy without robbing your soul. Cubao, Quezon City : Shepherd’s Voice Publication. Sanchez, Bo. 2014. Paano ka sasagana sa buhay? Cubao, Quezon City : Shepherd’s Publication. Sanchez, Bo. 2000. You can make your life beautiful : discover a simple path to happiness… Cubao, Quezon City : Shepherd’s Voice Publication. Sanchez, Bo. 2003. How to be really, really, really happy. Cubao, Quezon City : Shepherd’s Voice Publication. Sanchez, Bo. 2014.Is your love tank empty? Cubao, Quezon City : Shepherd’s Voice Publication. Sanchez, Bo. 2004. Your past does not define your future. Cubao, Quezon City : Shepherd’s Voice Publication. Sanchez, Bo. 2013. How to turn your passion into profit : 8 key to build a truly rich business. Cubao, Quezon City : Shepherd’s Voice Publication. Sanchez, Bo. 2013. The old path of loving relationships. Cubao, Quezon City : Shepherd’s Voice Publication. Sanchez, Bo. 2013. The Abundance Formula : the four simple steps that make good people rich. Cubao, Quezon City : Shepherd’s Voice Publication. Sanchez, Bo. 2011. 5 Things You need to do before you die : how to follow your bliss and live a life of no regrets. Cubao, Quezon City : Shepherd’s Voice Publication. Sanchez, Bo. 2010. Awaken the healer in you. Cubao, Quezon City : Shepherd’s Voice Publication. Sanchez, Bo. 2009. Don’t worry, be happy. Cubao, Quezon City : Shepherd’s Voice Publication. Sanchez, Bo. 2015. How to live a life of miracles : 7 keys to open yourself to blessings, wholeness and happiness. Cubao, Quezon City : shepherd’s Voice Publication. Sanchez, Bo. 2010. Paano bumuo ng masayang pamilya. Cubao, Quezon City : Shepherd’s Voice Publication. Sanchez, Bo. 2013. Live life : making the most of God’s greatest gift by experiencing each day to the full. Cubao, Quezon City : Shepherd’s Voice Publication. Sanchez, Bo. 2015. Life manual 101 : how to make your dreams come true. Cubao, Quezon City : Shepherd’s Voice Publication. Sanchez, Bo. 2015. Heat detox. Cubao, Quezon City : Shepherd’s Voice Publication. Sanchez, Bo. 2016. How to avoid jerks and jerkettes, so you can find God’s best. Cubao, Quezon City : Shepherd’s Voice Publication. Sanchez, Bo. 2016. God is bigger than your biggest problems. Cubao, Quezon City : Shepherd’s Voice Publication. Sanchez, Bo. 2014. How to deal with difficult people. Cubao, Quezon City : Shepherd’s Voice Publication. Sanchez, Bo. 2007. 8 Secrets of the truly rich : how you can create material wealth and gain spiritual abundance at the same time. Cubao, Quezon City : Shepherd’s Voice Publication. Sanchez, Bo. 2010. How to build a happy family : 7 steps to renew, bless and heal your most important relationships. Sanchez, Bo. 2015. How to deal with horror parents, monster kids, and freaky siblings. Cubao, Quezon City : Shepherd’s Voice Publication. Sanchez, Bo. 2010. 8 Habits of the happy millionaire. Cubao, Quezon City : Shepherd’s Voice Publication. Sena, Karren Renz. 2014. The lost chronicles of Eden : Champions. Cubao, Quezon City : Shepherd’s Voice Publication. Ortega, Rey foreword Bo Sanchez. 2011. Crazy love : loving the poor the way God loves them. Cubao, Quezon City : shepherd’s Voice Publication. Yabut, Jonathan. 2014. From grit to great : the journey to becoming Asia’s Apprentice. Cubao, Quezon City : Shepherd’s Voice Publication. Canfield, J. (2012). A 6th bowl of chicken soup for the soul. Backlist LLC. Canfield, J. (2013). Chicken soup for the soul: miraculous message from heaven. Backlist LLC. Canfield, J. (2013). The original chicken soup for the soul. Backlist LLC. Newcomb, J. (2015). Angels for everyday living. London: Octopus Publishing Ltd.
Newmark.A. (2016). Chicken soup for the soul: for mom with love. Backlist LLC. Pirlo, P. O. (2014). My first book of saints. Manila: Sons of Holy Immaculate Quality Catholic Publications. Cabrillas, Obet. (2011). Spell out your love. Cubao, Quezon City : Shepherd’s Voice Publication. Ramirez, Migs. (2016(). Imagine this : doodles to draw out your life purpose. Cubao, Quezon City : Shepherd’s Voice Publication. Bernardez, Edisteo B. and Ronaldo F. Pascual. (2014). Business Correspondence social communications and technical writing. Intramuros, Manila : Unlimited Books Library Services & Publishing Inc.
Borabo, Milagros-Lim. (2015). My Practice Teaching Handbook and Portfolio. Cubao, Quezon City : Lorimar Publishing. Bueno, David Cababaro. (2016). Organization and management. Mandaluyong City : Books Atbp. Publishing Corp.
Clutterbuck, David, Whitaker, C. and Lucas, M. (2016). Coaching Supervision : a practical guide for supervisees. London : Routledge. Cortez, Felicitas Maranan and Herminia Ocampo-Castro. (2016). Taking the center stage : the art of effective oral communication. Mandaluyong City : Books Atbp. Publishing Corp.
Gonzaga, Alex. (2014). Dear Alex, Break na kami, Paano? Love, Catherine. ABS-CBN Publishing. Hayden Sue and Emma Jordan. (2015). Language for learning in the primary school : a practical guide for supporting pupils with language and communication difficulties across the curriculum. 2d ed. New York : Routledge. Herzog, David. Data literacy : A user’s guide. Los Angeles : Sage. James, Mary E. (2013). Educational Assessment, evaluation and research. : the selected works of Mary E. James. London : Routledge. Johanyak, Debra. (2014). Say what you really mean: how women can learn to speak up. London: Rowman & Littlefield. Jolliffe, Wendy, David Waugh and Angela Carss. (2105). Teaching systematic synthetic phonics in primary schools. Los Angeles : Sage Publication. Lazarinis,Fotis. (2015). Cataloguing and classification : an introduction to AACR2, RDA, DDC, LCC LCSH and MARC 21. Amsterdam : Chandos Publishing. Menoy, Jesus Z. (2014). Philippine literature for today’s generation : a thematic approach. Mandaluyong City : Books Atbp. Publishing Corp.
Menoy, Jesus Z. and Guia F. Constantino. (2017). Oral Communication in Context. Mandaluyong City : Books Atbp. Publishing Corp.
Menoy Jesus Z. and Guia F. Constantino. (2016). Reading and writing skills. Mandaluyong City : Books Atbp. Publishing Corp.
Mirasol, Imee Roma and Joanne Arece_Ruiz. (2014). The Essentials of writing : academic and business. Intramuros, Manila : Unlimited Books Library Services & Publishing Inc.
Morgan, John and Martin Brenig-Jones. (2016). Lean Six Sigma for Dummies. West Sussex, United Kingdom : John Wiley & Sons. Muschla, Judith, Muschla Garay Robert and Erin Muschla-Berry. (2016).Algebra Teacher’s Activities Kit, Grades 6-12. San Francisco, California : Jossey-Bass. Navarro, Rosita L. (2013). Authentic Assessment of Student Learning Outcomes : Assessment of Learning 2. Cubao, Quezon City : Lorimar Publishing. Nuval, Evarista G. (2014). Competence in Oral Communication and public speaking. Mandaluyong City : Books Atbp. Publishing Corp.
Salandanan, Gloria G. (2012). Teaching and the Teacher. Cubao, Quezon City : Lorimar Publishing. Salvana, Hilarion t. (2003). Mga kuwento at tula ni Lolon. C.M. Recto : Rex Book Store. Shahrokhshahi, Ceri (2011). Creative literacy. London: Harper Collins Publishers. Singh, Dalip. (2015). Emotional intelligence at work. C.M. Recto : Rex Book Store. Surio, Cecilia (2014). Physical fitness & basketball. Mandaluyong City : Books Atbp. Publishing Corp.
Ritcharrt Ron. (2015). Creating cultures of thinking : The 8 forces we must master to truly transform our schools. San Francisco, California : Jossey-Bass. Traig, Jennifer, editor. (2015). Enthralling and effective lesson plans for grades 5-8. San Francisco, California : Jossey-Bass. Westwood, Peter. (2014). Teaching spelling : exploring commonsense strategies and best practices. New York : Routledge. Agno, L. N. (2010).Principles of teaching 2 : a modular approach. Quezon City: C& E Publishing Inc.
Aldaba, F. T. (2011). Overcoming poverty. Quezon City: C& E Publishing Inc.
Banaag, F. B. (2016). Recruitment and selection. Manila: Unlimited Books Library Services & Publication Inc.
Banaag, F. B. (2016). Human resource information system. Manila: Unlimited Books Library Services & Publication Inc.
Banks, J. A. (2016). Cultural diversity and education. New York: Routledge Taylor & Francis Group.Routledge Taylor & Francis Group. Berckemeyer, J. (2013). Taming of the team. Chicago, Illinois : World Book Inc.
Cammarata,L. (2016). Content-based foreign language teaching. New York: Routledge Taylor & Francis Group. Campbell, K. (2009). A Handbook for closing the achievement gap. Chicago, Illinois : World Book Inc.Connors, N. A. (2014). If you don’t feed the teachers they eat the students. Chicago, Illinois :World Book Inc.
De Botton. a. (2002).The art of travel. New York: Vintage International Books. De Force, F. (2015).The glam guide. London: Headline Publishing Group. Du, E. F. (2011).Business writing that works. Quezon City: C&E Publishing Inc.
Griffin, E. (2012).A first look at communication theory. New York: McGraw-Hill Education. Faber, S. H. (2006). How to teach reading when you’re not a reading teacher. Chicago, Illinois :World Book Inc.
Ferguson, A. (2013). Online bullying. New York: The Rosen Publishing Group Inc.
Ferguson, A. (2013). Bullying with words teasing,name-calling, and rumors. New York: The Rosen Publishing Group Inc.
Ferguson, A. (2013).What to do if you are bullied. New York: The Rosen Publishing Group Inc.
Ferguson, A. (2013). Are you a bully. New York: The Rosen Publishing Group Inc.
Ferguson, A. (2013). What you can do to stop bullying. New York: The Rosen Publishing Group Inc.
Ferguson, A. (2013). Group bulling exclusion and ganging up. New York: The Rosen Publishing Group Inc.
Fransen, J. (2008). 101 Things I wasn’t taught in my education classes. Nashville, Tennessee : Incentive Publications. Gonzales, E. D. (2016). Media and information literacy. Manila: JFS Publishing Services . Hayden S. (2015). Language for learning in the primary school. New York: Routlegde. Hinduja, S. (2015).Bullying beyond the schoolyard preventing and responding to cyberbullying. California: Corwin A Sage Company. Johns. B. H. (2015). 15 positive behavior strategies to increase academic success. California: Corwin a sage company. Jolliffe, W. (2015).Teaching systematic synthetic phonics.In primary schools. California: Sage Publication Inc.
Laconico-Buenaventura, C. (2010). The 2nd edition of the theater in manila 1846-1946. Quezon City: C&E Publishing, Inc.
Lewis, G. (2007). Teenager. New York: Oxford University Press. Lim-Borabo, M. (2016).My practice teaching handboo and portfolio. Manila: Lorimar Publishing Inc.
Margolis, E. (2007). Creations of the mind: theories or artifacts and their representation. New York :Oxford University Press. Muschla, J. A. (2016). Algebra teacher’s activities kit. San Francisco: Jossey-Bass. Padilla, C. P. (2014). Dealing positively with children. Manila: Isa-Jecho Publishing Inc.
Padolina, M. A. (2014). Group dynamics with structured games and readings. Manila: Booklore Publishing Corp.
Patchong, A. (2016). Implementing standardized work: training and auditing. Boca Raton: CRC Press Taylor & Francis Group. model. Chicago, Illinois : World Book Inc.
Puckett, D. (2008). Getting off o the right foot. Chicago, Illinois : World Book Inc.
Ritchhart, R. (2015). Creating cultures of thinking. San Francisco: Jossey-Bass. Sawyer, E. (2016).A practical guide to early intervention and family support. London: Jessica Kingsley Publishers. Sicat, A. S. (2014). Emergent technologies-based teaching strategies. Manila: Lorimar Publishing Inc.
Silver, D. (2010).Drumming o the beat of different marchers. Chicago, Illinois : World Book Inc.
Sowton, Chris. (2016). 50 steps to improve your grammar. United Kingdom. Garnet Publishing Ltd.
Sturtevent, J. A. (2014). You’ve gotta connect. Chicago, Illinois : World Book Inc.
Tagg, C. (2015). Exploring digital communication : language action. New York: Routledge. Thompson, R. (2001). Wow what a team : Essential components for successful teaming. Chicago, Illinois: World Book Inc.
West Sussex: John Wiley& Sons Ltd.
________. (2015). Helping students improve academic and social skills:Tips for teachers. Chicago, Illinois : World Book Inc.
Almedia, Adelaida B. et al. (2016). Research fundamentals : from concept to output – a guide for researchers & thesis writers. Cubao, Quezon City : Adriana Publishing. Bueno, David Cababaro. (2016). Organization and Management . Mandaluyong City : BooksAtbp. Publishing Corp.
Constantino, Pamela C. and Zafra, G. (2016). Filipino sa piling larangan. C.M. Recto : Rex Book Store. Cornelio, Jayeel S. et al. (210). Introduction to world religions and belief systems. C. M. Recto : Rex Book Store. Lanuza, Gerry M. (2016). Understanding culture, society, and politics. C.M. Recto Avenue, Manila : Rex Book Store, Inc.
Lartec, Jane Kibla, et al. (2011). Instruksiyong modyular sa pananaliksik. Mandaluyong City : Anvil Publishing. Mariano, Norma D. Lopez. (2016). Business Mathematics. C.M. Recto Avenue, Manila : Rex Book Store, Inc.
Payos, Ranulfo P. (2016). Organization and management. C.M. Recto : Rex Book Store. Ramos, Christine Carmela R. (2016). Introduction to the philosophy of the human person. C.M. Recto : Rex Book Store. Rimando, Rolly E. (2016). Disaster readiness and risk reduction. C.M. Recto : Rex Book Store. Rimaldo, Rolly E. (2016).Disaster readiness and risk reduction. C.M. Recto Avenue, Manila : Rex Book Store, Inc.
Tandoc, Sheila D. Reading and writing skills. C.M. Recto : Rex Book Store. Tatel, Carlos P. Jr. (2016). Disciplines and ideas and in the social sciences. C.M. Recto : Rex Book Store. Taylan, Dolores R. (2016). Komunikasyon at pananalissik sa wika at kulturang Pilipino. C.M. Recto : Rex Book Store. Zarate, Maria Jovita E. (2016). Media and information literacy. C.M. Recto : Rex Book Store. Abella, R. D. (2016). Introduction to the philosophy of the human person. Quezon City: C & E Publishing Inc.
Arganda, A. M. (2015). Fundamentals of accounting: bookkeeping 1. Mandaluyong City: Anvil Publishing Inc.
Atienza, M.(2016). Understanding culture, society & politics. Quezon City: C & E Publishing Inc.
Barrot, J. S. (2016). Communicate today English for academic & professional purposes for senior high school. Quezon City: C & E Publishing Inc.
Bueno. D. C. (2016). Organizational management for senior high school.Mandaluyong City:Books Atbp Publishing Corp.
Caitic, H. E. (2016).Physical science. Quezon City: C & E Publishing Inc.
Cueno, A. (2016). Pre-calculus for senior high school. Quezon City: C & E Publishing Inc.
Dimasuay, L. (2016). General mathematics. Quezon City: C & E Publishing Inc.
Gutierrez-Ang, J. (2016). Reading & writing for senior high school. Manila:MindShapers Co. Inc.
Nuncio, R. V. (2016).Sidhaya11 :Komunikasyon at pananaliksiksawika at kultura Pilipino. Quezon City: C & E Publishing Inc.
Ong, F. (2016).Fundamentals of accounting, business and management 1. Quezon City: C & E Publishing Inc.
Porto, Jerome A. (2016). Fitness for life : Health-optimizing physical education senior high school. Quezon City: C & E Publishing Inc.
Sipacio, P J. F. (2016) Oral communication in context for senior high school. Quezon City: C & E Publishing Inc.
Tiangson, M. A. (2016). Reading and writing skills. Manila: Rex Book Store. Singapore Asia Publishers Pte Ltd.
Deauna, M. C. (2011). Applied educational statistics. Quezon City: C&E Publishing Inc.
Herrero, C. C. (2015). Accounting principles 3 textbook/ workbook.Mandaluyong City: National Book Store. Solomon, Robert. 2008. The Little Book of Mathematical principles, theories and things. New York : Sterling Publications. Tan, A. (2015). SCORE: Systematic course for outstanding results in examinations 1. Singapore: Singapore Asia Publishers Pte Ltd.
Tan, A. (2015). SCORE: Systematic course for outstanding results in examinations 2.
differentiation, and games. New York: Routledge Taylor & Francis Group. Tolentino, Romeo Q. and Delia S. fainsan. (2015). Integral calculus work text. Sta. Cruz, Manila : Booklore Publishing Corp.
_______. Annual Report Volume III : major economic laws and banking regulations. Bangko Sentral ng Pilipinas : Manila Philippines. ______. Selected Philippine Economic Indicators : 2014 yearbook. Bangko Sentral ng Pilipinas. Manila Philippines. _______. Inflation Report First Quarter 2015. Bangko Sentral ng Pilipinas : Manila, Philippines. _______. Annual Report Volume 1. Bangko Sentral ng Pilipinas : Manila, Philippines. _______. Annual Report Volume 11. Bangko Sentral ng Pilipinas : Manila, Philippines. Nolledo, M. S. (2008). The constitution of the republic of the Philippines explained. Mandaluyong City: National Book Store. Guido, Ryan, et. al. (2015). Fundamentals environmental science. Mandaluyong City : Books Atbp. Publishng Corp.
Taylor-Cox, Jennifer. (2016). Math intervention: Building number power with formative assessments differentiation and games. New York : Rutledge Taylor & Francis Group. Zaide, Gregorio F. and Sonia M. Zaide. (20140. Philippine history and government. Cubao, Quezon City : All-nations Publishing co., Inc.
Naga City: Ateneo de Naga University Press. Axala-Dalisay, A. (2013). Grammar and composition in our changing world 4. Mandaluyong City: Anvil Publishing Inc.
Axala-Dalisay, A. (2013). Grammar and composition in our changing world 3. Axala-Dalisay, A. (2012). Grammar and composition in our changing world 2. Axala-Dalisay, A. (2012). Grammar and composition in our changing world 1. Alicay, Calixto B. (2014). Research methods and techniques. Quezon City : Great Books Trading. Bautista, Ofelia K., Teresita L. Rosario and Roberto K. Bautista Jr., (2012). Write a thesis and other research articles fro refereed journals and symposia. Laguna : College of Agriculture. Bueno, David Cababaro. (2016). Practical qualitative research writing. Quezon City : Great Books Trading. Bueno, David Cababaro Bueno. (2016). Educational research writing made easy. Quezon City : Great Books Trading. Perfecto, Marianne Rachel G.Michelle G. Paterno and Rosalia A. Pison. (2015). The Anvil Guide to Research Paper Writing. Mandaluyong City : Anvil Publishing Inc.
Pernia, Elena E. (2014). Communication research in the Philippines. Diliman, Quezon City: The University of the Philippines press. Bernardo.R. (2016).Oral communication. Manila: JFS. Publishing Services. students.Intramuros Manila: Minshapers Co. Inc.
Leu, A. (2016).Learning vocabulary. Singapore: Singapore Asia Publishers Pte Ltd.
Harrison, R. (2014). Better writing. United Kingdom : Garnet Publishing Ltd.
Sebastian, E. L. (2013). English proficiency 1. Quezon City: C& E Publishing Inc.
Ong, W. T. (2009). How to live longer. Quezon City: ArisPrnthous, Inc.
modern botanical medicine. Quezon City: C & E Publishing, Inc.
Buckley, Don. et al. (2011). Sound and Light : Interactive Science . Boston : Pearson Education Inc.
Buckley,Don. et al. (2011). The diversity of Life : Interactive Science. Boston : Pearson Education Inc.
Buckley, Don. et al. (2011). Human Body systems : Interactive Science. Boston : Pearson Education Inc.
Buckley, Don. et al. (2011). Astronomy and Space Science : Interactive Science. Boston : Pearson Education Inc.
Buckley, Don. et al. (2011). Cells and Heredity. Interactive Science. Boston : Pearson Education Inc.
Buckley, Don. et al. (2011). Ecology and the Environment : Interactive Science. Boston : Pearson Education Inc.
Buckley, Don. et al. (2011). Introduction to Chemistry : Interactive Science. Boston : Pearson Education Inc.
Buckley, Don. et al. (2011). Forces and Energy : Interactive Science. Boston : Pearson Education Inc.
Buckley, Don. et al. (2011). Earth’s Structure : Interactive Science. Boston : Pearson Education Inc.
Buckley, Don. et al. (2011). Earth’s Surface. Interactive Science. Boston : Pearson Education Inc.
Heiken, Grant. (2013). Dangerous neighbors volcanoes and cities. New York : Cambridge University Press. Padilla- Conception, Gisela P. (2015). Science Philippines : essays on science by Filipinos, volume III. Diliman, Quezon City : University of the Philippines Press. Reynolds, Stephen J. and Julia K. Johnson. (2016). Exploring Earth Science. New York : MCGraw-Hill Education. Bernardez, Edisteo B. and Ronado F. Pascual. (2014). Business corresp[ondence social communications and technical writing. 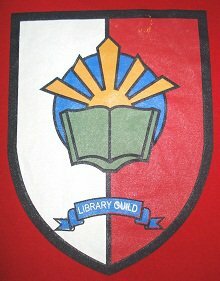 Intramuros, Mnila : Unlimited Books Library Services and Publishing Inc.
Bridwell, Norma. (1986). Clifford’s A B C . New York : Scholastic Inc.
Bridwell, Norma. (1986). Clifford takes a trip. New York : Scholastic Inc.
Cherry, Kendra. (2010). Essentials of Psychology : An Introductory Guide to the Science of Human Behavior. New York : Fall River Press. Mirasol, Imee Rona. (2014). The Essentials of writing : academic and business. Intramuros, Manila : Unlimited Books Library Services & Publishing Inc.
____. (2012). Merriam Webster’s Collegiate Dictionary. Springfield, Massachusetts : Merriam-Webster Incorporated. ________. 2015. Froze : Lincolnwood, Illinois : Phoenix International Publications, Inc.
________.2013. Peanuts Snoopy. Lincoln, Illinois : Phoenix International Publications, Inc.
Thompson, Lauren. (2004). Mouse’s First Summer. New York : Simon & Schuster. _________.(2015). Spectrum reading. grade 5. Greensboro : Carson-Dellosa Publishing. _________. (2015). Spectrum math grade 5.Greensboro : Carson-Dellosa Publishing. _________. (2014). Spectrum word problems. grade 6. Greensboro : Carson-Dellosa Publishing. ________. (2015). Spectrum writing. grade 6. Greensboro : Carson-Dellosa Publsihing. ____________. (2015). First Look and Find. Lincolnwood, Illinois : Phoenix International Publications, Inc.
Pogue, David. (2013). Science of everything. Washington DC : National Geographic. Rowling, J.K. et al. (2016). Harry potter and the cursed of the child parts one of two. New York: Arthur A. Levine Books. _____(2015). The World almanac and Book of Facts 2016. New York : World almanac Books. De Guzma-Ladion, Herminia. Healthy moves : the healing wonders of therapeutic exercises. Manila, Philippine Publishing House. Berman, E. (2016). Top 10 New York City. London Penguin Random House. Buchholz, R. (2011). How to survive anything. Washington D.C.: National Geographic. Gerrard, M. (2016). Top 10 Paris. London: Dorling Kindersely Limited. Hall.J. (2009).The crystal zodiac. London: Octopus Publishing Group. Hibert, C. (2016). 100 events that made history.London Penguin Random House. Williams, R. (2016). Top 10 London. London Penguin Random House. Sorensen, A. (2016). Top 10 Barcelona. London Penguin Random House. Swanson. J. (2015).Brain games. Washington D.C.: National Geographic. Volderman.C. (2015).How to be goo at maths.London Penguin Random House. Webster, R. (2014). 365 ways to attract good luck. Minnesota: Llewelly Publications. _________.(2017). Almanac 2017. Washington D.C.: National Geographic. _________.(2011). Weird but true 7. Washington D.C.: National Geographic. _________.(2010). Weird but true 3. Washington D.C.: National Geographic. _________.(2010). Weird but true 2. Washington D.C.: National Geographic. _________.(2010). Weird but true . Washington D.C.: National Geographic. _________.(2016). Global almanac. Manila: Lampara Publishing House Inc. _________.(2017). Guinness world record 2017.Guinness world limited. _________.(2016). Japan. London: Dorling Kindersely Limited. _________.(2016). Oceans and climate change. Chicago: World Book a Scott Fetzer Company. Magos, Alicia P. (2015). Derikaryong Pada : Sugidanon (Epics) of Panay Book 3. Diliman, Quezon City : University of the Philippines Press. Caballero, Federico. (2006). Kalampay : Sugidanon (Epics) of Panay Book 5. Diliman Quezon City : University of the Press. Perez, Rodolfo C. (2015). Gems : Readings in Philippine Literature. Intramuros, Manila : Mindshapers. Eugenio, Damiana, compiler and editor. (2001). The Epics. Diliman, Quezon City : University of the Philippines Press. Eugenio, Damiana, compiler and editor. (2007). Philippine Folklore : An Anthology. Dilimna, Quezon City : University of the Philippines Press. Samar, Edgar Calabia. (2015). Kagila-gilalas na nilalang. Quezon City : Adarna House, Inc.
Lopez, Mellie Leandicho. (2006). A Handbook of Philippine Folklore. Dilimna, Quezon City : University of the Philippines Press. Reguyal, Trixie Alano. (2016). Bohemian Rhapsody in Two Places. Diliman, Quezon City : University of the Philippine Press. Acosta, Ericson. (2015). Mula Tarima Hanggang at iba pang mga tula at awit. Diliman, Quezon City : University of the Philippines Press. Ong, Charles. (2016). Of that other country we now speak and other stories. Diliman, Quezon City : University Of the Philippines Press. Dela Cruz, Mar Anthony Simon. (2015). Isang gabi sa Quezon Avenue at iba pang kuwento. Diliman, Quezon City : University of the Philippines Press. Alfar, Dean Francis and Yu, K. editors. (2016). Science fiction : Filipino fiction for young adults. Diliman, Quezon city : The University of the Philippines Press. Dela Cruz, Mar Anthoy Simon. (2015). Isang gabi sa Quezon Avenue. Diliman, Quezon City : The University of the Philippines Press. Acosta, Ericson. (2015). Mula Tarima hanggang at iba pang mga tula at awit. Diliman, Quezon City : The University of the Philippines Press. Ong, Charles. (2016). Of that other country we now speak and other stories. Diliman, Quezon City : The University of the Philippines Press. Salvana, Hilarion T. Mga Kuwento at Tula ni Lolon. :kalipunan ng mga orihinal na maikling kuwento at mga tula ng may akda. Tayabas. Ortiz, Will P. (2015). Ang pagbabalik ni Mariang Makiling : unang aklat. Diliman, Quezon City : The Unviersity of the Philippines Press. Guanzon, Ma. Rowena Amelia V. (2014). The Anti-Sexual harassment act : notes and cases. Diliman, Quezon city : Information and Publication Division. Medina, Belen T.G. (2015). The Filipino family 3rd ed. Diliman, Quezon City : The University of the Philippines. Bautista, Cirilo F. Selected Poems. Diliman, Quezon City : The University of the Philippines Press. McCarty, Weldon M. (2014). Bamboo bed. Diliman, Quezon City : The University of the Philippines Press. Jose, F. Sionil. (2016). Selected stories. Diliman, Quezon City : The University of the Philippines Press. Eugenio, Damiana L. (2001). Philippine folk literature: the myths. Diliman, Quezon City : The University of the Philippines Press. Tiatco, SIR Anril Pineda. (2016). Performing Catholicism. Diliman, Quezon City : The University of the Philippines Press. Gagalang, Jocelyn l. et al. (2014). Philippine literature. Malabon City: Jimczyville Publications. Cbasaan, William J. et al. (2014). Appreciating Philippine contemporary literature. Malabon City: Jimczyville Publications. Rodil, Ruel C. et al. (2014). Heritage of world literature. Mandaluyong City: Books atbp. Publishing Corp.
Rosales, Renato de Guzman. (2014). Afro-Asian literature: A tapestry. Malabon City: Jimczyville Publications. Espina, Leticia D. et al. (2014). Literatura ng ibat ibang rehiyon ng Pilipinas. Manila: Mind Shapers Co.
Acosta, E. (2015). Mulatarimahanggang at iba pang mgatula at awit. Diliman, Quezon City: The University of the Philippine Press. Alfar, D. (2016). Science fiction: Filipino fiction for young adults. Diliman, Quezon City: The University of the Philippine Press. Alma, R. (2009). Buwan, buwangbulawan. Quezon City: Adarna House Inc.
Antonio, L. F. (2011). Pagsalin: teorya at praktika. Quezon City: C&E Publishing Inc.
Aralar, R. B. (2012). Latest memorandum. Orders/ circulars: January 6, 2012 to May 23, 2012. Mandaluyong City: Nationa Book Store. Bautista, C. F. (2016). Selected poems.Diliman, Quezon City: The University of the Philippine Press. Balmaceda, C. (1997). Alagwa. Manila: De La Salle University Press Inc.
Borromeo, C. G. (2014). Linking world & image. Manila: University of Santo Tomas. De Jesus, J. C. (1984). Mga piling tula. Manila: De La Salle University Press. City: The University of the Philippine Press. De Paz, E. L. (2012). Nagcarlan in perspective. Pasig City: St. Fauztina Press. Duncano, D. A. (2012). BIR Issuances income tax: Taxable Persons and transactions. Hidalgo, C. P. (2015).Filipino woman in writing. Manila: UST Publishing House. Krakower, B. (2016).Using technologies to engage students with learning disabilities. California: Corwin A Sage Company. Landicho, D. G. (2012).Sulyapsamgabayani. Quezon City: C& E Publishing Inc.
Landicho, D. G. (2010).Pusod. Quezon City: C& E Publishing Inc.
Mangahas, R. G. (2006). Gagambasauhaykalipunnghaiku.Reyes, E. M. (2010). Mgauod at rosas. Quezon City: C& E Publishing Inc.
Medina, B. T. (2015). The Filipino family.Diliman, Quezon City: The University of the Philippine Press. Nuncio, R. V. (2012). 100 Aklatsaakingpagkamulatpagbasa, dagling-suri, at paayaya. Quezon City: C& E Publishing Inc.
Ong, Charlson.(2016). Of the other country we now speak and other stories. Diliman, Quezon City: The University of the Philippine Press. Ortiz, W. P. (2015). Angpagbabalikni Maria Makiling. Diliman, Quezon City: University Of the Philippines. Pacho, A. G. (2015). Discovering tuba.Diliman, Quezon City: The University of the Philippine Press. Pertierra, R. (2002). Txt-ing selves. Manila. De La Salle University Press. Rizal, J. (2015). AngFili-Busterismo. Mandaluyong City: National Book Store. The University of the Philippine Press. Torres, G. Z. (2009). Kulayrosasangpintigngpuso. Quezon City: C & E Publishing Inc.
Tupaz, A. R. (2006). Davide. Quezon City: C&E Publishing Inc.
Reyes, E. M. (2010). Mgauod at rosas. Quezon City: C& E Publishing Inc.
Reyes, E. M. (2010). Isla: sitarzan at jane, at sichoito Quezon City: C& E Publishing Inc.
Santiago,L. Q. (2007). MgapanitikanngPilipinas. Quezon City: C& E Publishing Inc.
Villanueva, C. M. (2010).Tamanghinala. Quezon City: C& E Publishing Inc.
________. (1987). Aklatadarna. Quezon City: Adarna House Inc.
________. (2015). 35 kuwentongklasiko. Quezon City: Adarna House Inc.
_____.2014). My first history of the church. Paranaque City : Sons of Mary Immaculate Quality Catholic Publications. Warren, Rick. (2003). Daily Inspiration for the purpose driven life : scripture and reflections from the 40 days of purpose. Manila : Lighthouse Inspirational Books & Gifts. Gervacio, German V. (2009). Si Tanya, ang uwak na gustong pumuti. Quezon City: Lampara Publishig House, Inc.
Gunderson, Jessica. (2016). The story of the three little pigs as told by the wolf. North Mankato: Picture Window Books. Gunderson, Jessica. (2016). The story of rumpelstiltskin as tot by rumpelstilskin. North Mankato: Picture Window Books. Loewen, Nancy. (2016). The story of Hansel and Gretel as told by the witch. North Mankato: Picture Window Books. Matias, Segundo, Jr. (2014). Uncle sam. Quezon City: Lampara Publishig House, Inc.
Albom, M. (2012).The time keeper. New York: Hachette Books. Aveyard.V. (2016).Glass sword. New York : Harper Collins Publishers. Benjamin, A. (2015). The thing about jellyfish. New York: Little Brown & Company. Blankee, Q. (2015) Bilimoakocoffee . Manila: Viva PSICOM Publishing Corp.
Burchill, J. (2016). Sugar rush. London: Macmillan Children’s Book. Cass. K. (2015).The heir. New York : Harper Collins Publishers. Cass. K. (2015).Happily ever after. New York : Harper Collins Publishers. Cass. K. (2016).The crown. New York : Harper Collins Publishers. Chbosly.S. (1999). The perks of being a wall flower. London: Pocket Books. Coelho, P. (2013). Manuscript found in accra. New York: Vintage International Books. Dashner, J. (2013). The eye of minds. New York: Random House Children’s Book. Dashner, J. (2009). The maze runner. New York: Random House Children’s Book. Dashner, J. (2010). The scorch trial. New York: Random House Children’s Book. de Saint-Exupery, A. (2015). The little prince. London: Picador an imprint of Macmillan. Gaiman, N. (2002). Caroline. New York; Harper Collins Publishers. Gray, C. (2015). Ten thousand skies above you. New York: Harper Collins Publishers. Gray, C. (2014). A thousand pieces of you. New York: Harper Collins Publishers. Forman, G. (2015). I was here. New York: Penguin Group. Han, J. (2012). Burn for burn. New York: Simon & Schuster. Han, J. (2009). The summer I turned pretty. New York: Simon & Schuster. Han, J. (2010). It’s not summer without you. New York: Simon & Schuster. Kinsella, S. (2015). Finding audrey. United Kingdom: Penguin Random House LLC. Lewis, C. S. (1954). The chronicles of narnia: the horse and his boy. New York: Harper Collins Publishers. Lewis, C. S. (1955). The chronicles of narnia: the magicians nephew. New York: Harper Collins Publishers. Lore.P. (2015).The fate of ten. New York: Harper Collins Publishers. Moyes, J. (2012). Me before you. New York: Penguin Ramdom House LLC. Murakami, H. (2005). Kafha on the shore. New York: Vintage international Books. Noel, A. (2016). Unrivaled: a beautiful idols novel. New York : Harper Collins Publishers. Olver, L. (2010). Before I fall. New York : Harper Collins Publishers. Portes, A. (2016). The fall of butterflies. New York : Harper Collins Publishers. Roth, V. (2011).Divergent.New York; Harper Collins Publishers. Roth, V. (2013).Allegiant.New York; Harper Collins Publishers. Sanderson, B. (2013). Steelheart. United States: Ember. Smith, J. E. (2014). The statistical probability of love at first sight. New York: Little Brown and Company. Smith, J. E. (2014). The geography of you and me. New York: Little Brown and Company. Sparks, N. (2008). The lucky one. New York: Grand Central Publishing. Sparks, N. (2015). See me. New York: Grand Central Publishing. Stout, K. M. (2015). Hello, I love you. New York: Thomas Dunne Books St Martin’s Griffin. Sugg, Z. (2015). Girl online on tour. New York: Simon & Schuster, Inc.
Tromly, S. (2015). Trouble is a friend of mine. New York: Penguin Random House LLC. Welch, J. E. (2015). Love & gelato. New York: Simon Pulse. Alcott, L. M. (2011). Little women. Quezon City: Lampara Publishing House. Almario, V. S. (2005). Manikbuangsi. Quezon City: Adarna House Inc.
Almario, V. S. (2005). Rosa albina. Quezon City: Adarna House Inc.
Almario, V. S. (2010). Angtutaninoe.Quezon City: Adarna House Inc.
Almario, V. S. (2012). Si lurat, kidhay, pirokugpiyong. Quezon City: Adarna House Inc.
Almario, V. S. (2011). The love of lam-ang. Quezon City: Adarna House Inc.
Antonio, L. E. (2012). Si ambongan. Quezon City: Adarna House Inc.
Aragon, S. D. (2010). When color came to town. Quezon City: Adarna House Inc.
Austen, J. (2012). Pride and prujudice. Manila: Lampara Books. Bellen, C. (2004). Filemonmamon. Quezon City: Adarna House Inc.
Bravo, B. (2009). Fetch dalhanmoako. Quezon City: Lampara Publishing House. Burnett, F. H. (2011). The secret garden. Manila: Lampara Books. Carrol, L. (2011). Alice’s adventures in wonderland. Manila: Lampara Books. Defoe, D. (2009). Robinson crusoe. Manila: Lampara Books. Desuasido, R. (2011). Dalawangdagangbulag. Quezon City: Adarna House Inc.
Defoe,D. (2015). Robinson crusoe. Maaylsia: Brown Watson. Doyle, A. C. (2015). The adventures of sherlockholmes.Maaylsia: Brown Watson. Dy-Liacco, N. (2005). The yelllow paperclip with bright purple spots. Quezon City: Adarna House Inc.
Fernadez, E. (2006). Haluhaloespesyal. Quezon City: Adarna House Inc.
Fernadez, E. (2012). Maia’s birthday party. Quezon City: Adarna House Inc.
Gagatiga, Z. (2015). Big sister. Quezon City: Lampara Publishing House. Garcia, A. F. (2014). tiger on the wall. Quezon City: Adarna House Inc.
Garlitos, R. (2009). May higantesaamingbahay. Quezon City: Adarna House Inc.
Gojo Cruz. G. R. (2014). Pitonganghel. Quezon City: Lampara Publishing House. Hugo, V. (2010). Les miserable’s. Manila: Lampara Books. Homer. (2010). The Odyssey. Manila: Lampra Publishing House Inc.
Kinney, J. (2009). Diary of a whimpykid : the last straw. New York: Amulet Books. Kinney, J. (2009). Diary of a whimpykid : the long haul.New York: Amulet Books. Kinney, J. (2007). Diary of a whimpy kid. New York: Amulet Books. Kinney, J. (2011). Diary of a whimpy kid: cabin fever .New York: Amulet Books. Kinney, J. (2014). Diary of a whimpy kid: the third wheel. New York: Amulet Books. Kinney, J. (2014). Diary of a whimpy kid: the ugly truth. New York: Amulet Books. Kinney, J. (2012). Diary of a whimpy kid: hard luck. New York: Amulet Books. Kinney, J. (2014). Diary of a whimpy kid: dog days. New York: Amulet Books. Lacson, T. (1992).Si mariangalimango. Quezon City: Adarna House Inc.
Lopez, I. S. A. (2015). Si lolaapura at silolomomento. Quezon City: Adarna House Inc.
Lee, M. D. (2013). Maylan and his toy top. Quezon City: Adarna House Inc.
Lee, M. D. (1995). Luis and the enchanted creatures.. Quezon City: Adarna House Inc.
Matias, S. (2016). Akoanghari. Quezon City: Lampara Publishing House. Matias, S. (2016). Angpunongmarikit. Quezon City: Lampara Publishing House. Matias, S. (2016). Josengdalag. Quezon City: Lampara Publishing House. Matias, S. (2016). Angsarimanok. Quezon City: Lampara Publishing House. Molina, R. (2007). Sampupataas, sampupababa. Quezon City: Adarna House Inc.
Oris.G. (2011).Whuush. Quezon City: Adarna House Inc.
Pacana-Lumbao, A. (2010). But that wont wake me up. Quezon City: Adrana House Inc.
Pastor, B. S. (2009).The rooster and the gemstone. Quezon City: Lampara Books. Pastor, B. S. (2007).The frog prince. Quezon City: Lampara Books. Pastor, B. S. (2009).The dog and his reflection. Quezon City: Lampara Books. Pastor, B. S. (2006).The ant and the dove. Quezon City: Lampara Books. Pastor, B. S. (2008).The ant and the grasshopper. Quezon City: Lampara Books. Pastor, B. S. (2006).The goose that laid golden eggs. Quezon City: Lampara Books. Pastor, B. S. (2009).The prodigal son. Quezon City: Lampara Books. Pastor, B. S. (2008).The crow and the fox. Quezon City: Lampara Books. Pastor, B. S. (2009).The old miser. Quezon City: Lampara Books. Pastor, B. S. (2010).The dog, the rooster, and the fox. Quezon City: Lampara Books. Pastor, B. S. (2009).The crow and the eagle. Quezon City: Lampara Books. Pastor, B. S. (2007).The ugly duckling. Quezon City: Lampara Books. Pastor, B. S. (2008). The emperors new clothes. Quezon City: Lampara Books. Pastor, B. S. (2008).The two pots. Quezon City: Lampara Books. Pastor, B. S. (2008).The heron and the fox. Quezon City: Lampara Books. Pastor, B. S. (2008).A wolf in sheep’s clothing. Quezon City: Lampara Books. Pastor, B. S. (2009).The cowardly bat. Quezon City: Lampara Books. Pastor, B. S. (2008). The boy who cried wolf.Quezon City: Lampara Books. Pastor, B. S. (2007).David and goliath. Quezon City: Lampara Books. Pastor, B. S. (2008).The merchant and his two donkeys. Quezon City: Lampara Books. Pastor, B. S. (2009).The heron and the fish. Quezon City: Lampara Books. Pastor, B. S. (2008).The stork and the wolf. Quezon City: Lampara Books. Pastor, B. S. (2008).The little lamb and the wolf. Quezon City: Lampara Books. Pastor, B. S. (2016).Piknik. Quezon City: Lampara Books. Pastor, B. S. (2016).Bulanglang. Quezon City: Lampara Books. Russell, R. R. (2010). Dork diaries: party time . United Kingdom: Simon & Schuster. Russell, R. R. (2015). Dork diaries: drama queen. United Kingdom: Simon & Schuster. Russell, R. R. (2014). Dork diaries: tvstar . United Kingdom: Simon & Schuster. Rusell, Rachel Renee and Erin Rusell. (2014). Dork diaries TV star. London : Simon and Schuster. Santos, a.S. (2015). Voices in the theater. Cubao, Quezon Cty : Shepherd’s Voice Publication. Sparks, Nicholas. 2009. The Last Song. New York : Grand Central Publishing. Sarte, S. A. (2014). A boy named Ibrahim. Quezon City: Adarna House Inc.
Sewell, A. (2010). Black beauty. Manila: Lampara Books. Sirett, D. (2016). Follow the trail truck. London : Dorling Kindersley Limited. Sirett, D. (2016). Follow the trail wild animals. London : Dorling Kindersley Limited. Spyri, J. (2009). The tale of Heidi. Quezon City: Lampara Publishing House. Stevenson, R. (2011). Treasure island. Manila: Lampara Books. Stevenson, R. (2015). Treasure island. Malaysia: Brown Watson. Stilton, G. (2015). The treasure of easter island. New York: Scholastic Inc.
Stilton, G. (2009).Thea Stilton and the mountain of fire. New York: Scholastic Inc.
Stilton, G. (2014).The super chef contest. New York: Scholastic Inc.
Stilton, G. (2013). Mouse in space!. New York: Scholastic Inc.
Stilton, G. (2015).Welcome to moldy manor. New York: Scholastic Inc.
Stilton, G. (2015).Spacemice: rescue rebellion. New York: Scholastic Inc.
Stilton, G. (2007).Thea stilton: big trouble in the big apple. New York: Scholastic Inc.
Stilton, G. (2004).Cat and mouse in a hunted house.. New York: Scholastic Inc.
Stilton, G. (2015).Thea stilton and the tropical treasure. New York: Scholastic Inc.
Tejido, J. (2014). Jepoydyip at ang field trip. Quezon City: Lampara Publishing House. Tejido, J. (2014). Jepoydyip at angpalaruan Quezon City: Lampara Publishing House. Tejido, J. M. (2003). Angpambihirang sombrero. Quezon City: Adarna House Inc.
Tobias-Papa, M. (2014). Can we live without trees. Quezon City: Adarna House Inc. Twain, M. (2010).The prince and the pauper. Quezon City: Lampara Publishing House. Untalan, C. Y. (2009). Bakawan. Quezon City: Adarna House Inc.
Verne, J. (2012). Twenty thousands leagues under the sea. Manila: Lampara Books.